Chuck Chuckovits was a schoolboy star at St. Vincent’s High School in Akron, Ohio. He went to college at the University of Toledo where he led the basketball team in scroring for three years and was named to the All-American team in 1938. Chuckovits had a brief, but spectacular pro career. In the 1941 World Professional Tournament in Chicago, he averaged 20.5 point per game and was named to the All-Tournament team. 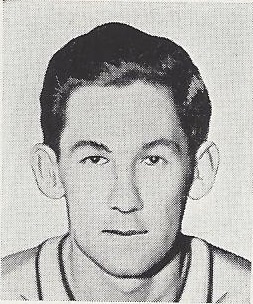 During the 1941-42 National Basketball League season, Chuckovits led all scorers with 18.5 ppg and was named the league’s Most Valuable Player. Charles Harold Chuckovits Born: Jul 10, 1912 Died: Aug 12, 1991 Hometown: Akron, Oh.